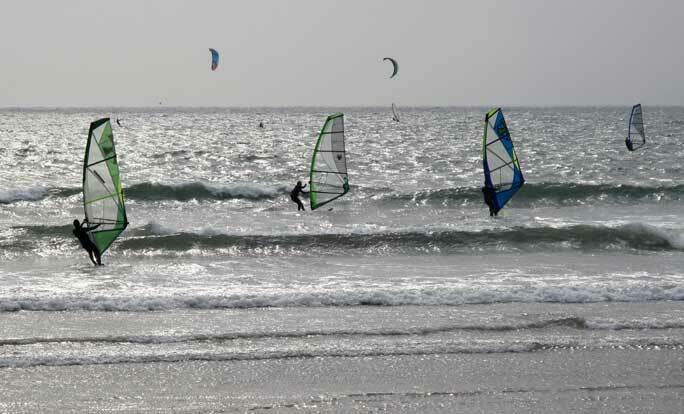 The locations for windsurfing in Cornwall and the Isles of Scilly are as exhilarating and breathtaking as the sport itself. 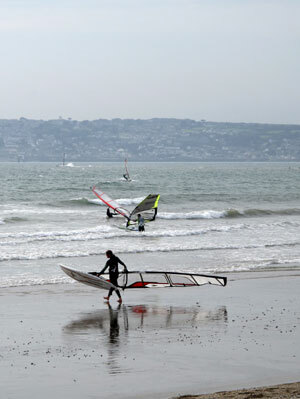 Marazion is one of the most spectacular with the magnificent St Michael's Mount providing the backdrop. 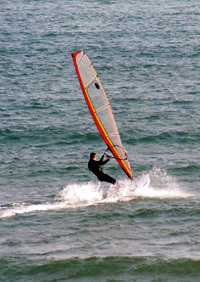 Windsurfing's South West Cup was held here during April 2003, a racing event over 4days. 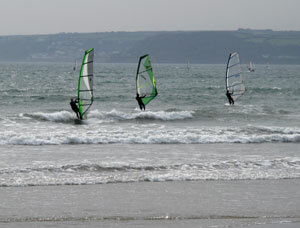 Gwithian was Cornwall's venue for the Freewave Triple Crown event during Easter 2003. 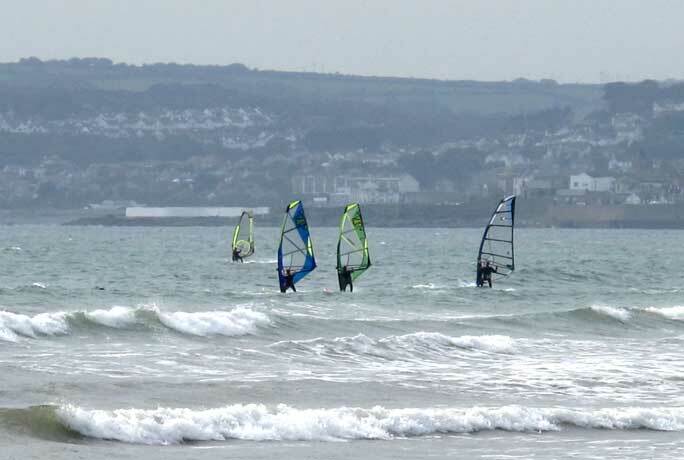 Rock on Cornwall's Atlantic Coast, Coverack and Par, on the South Coast, and the Isles of Scilly also provide facilities for windsurfing so whether you're an experienced windsurfer or you're wanting to try it for the first time, Cornwall has a venue to suit you. Training Schools providing complete instruction and equipment hire with tuition from qualified instructors are available around Cornwall, so you can choose the area of Cornwall where you want to learn. 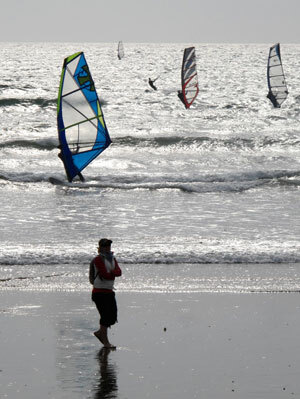 See Cornish Places for detailed information of the towns and their facilities. 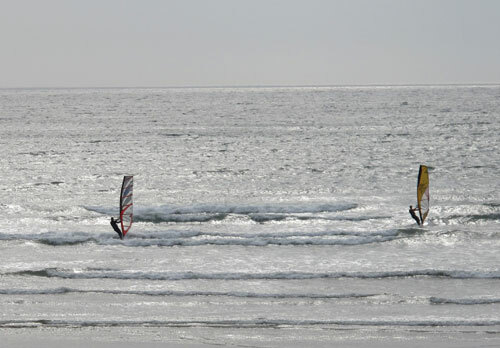 For information regarding any forthcoming Windsurfing events in Cornwall see our below. Check Wind in Cornwall !